Years ago I played games on the Commodore 64. 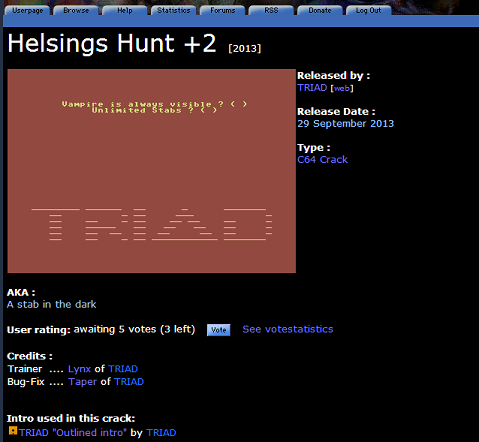 Quite a lot of these games were ‘cracked’ by a hacking group called ‘TRIAD’. Today it all went full circle: they cracked MY GAME! They also fixed a bug apparently and added a nice looking intro (with better music than mine). (But: hacked my game? Seriously? The source is online).